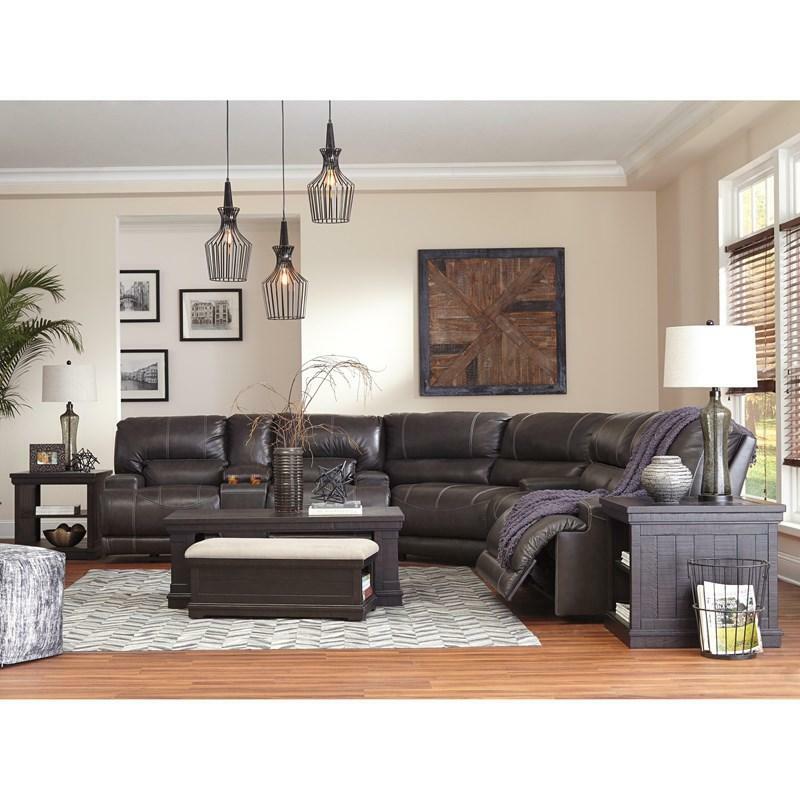 Sink into the supple Signature Design McCaskill sectional and prepare to be swept off your feet—literally. 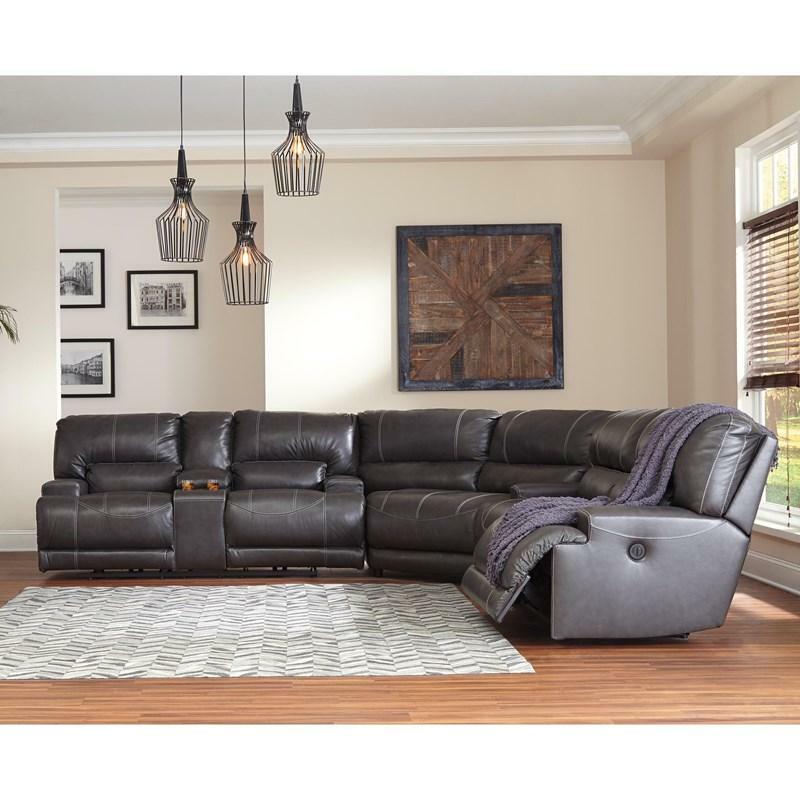 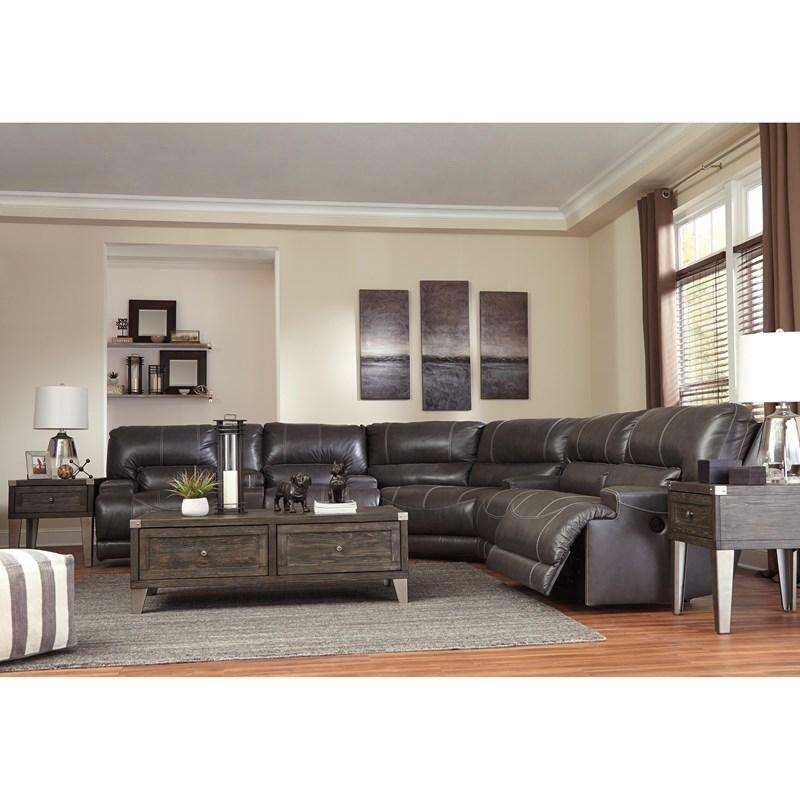 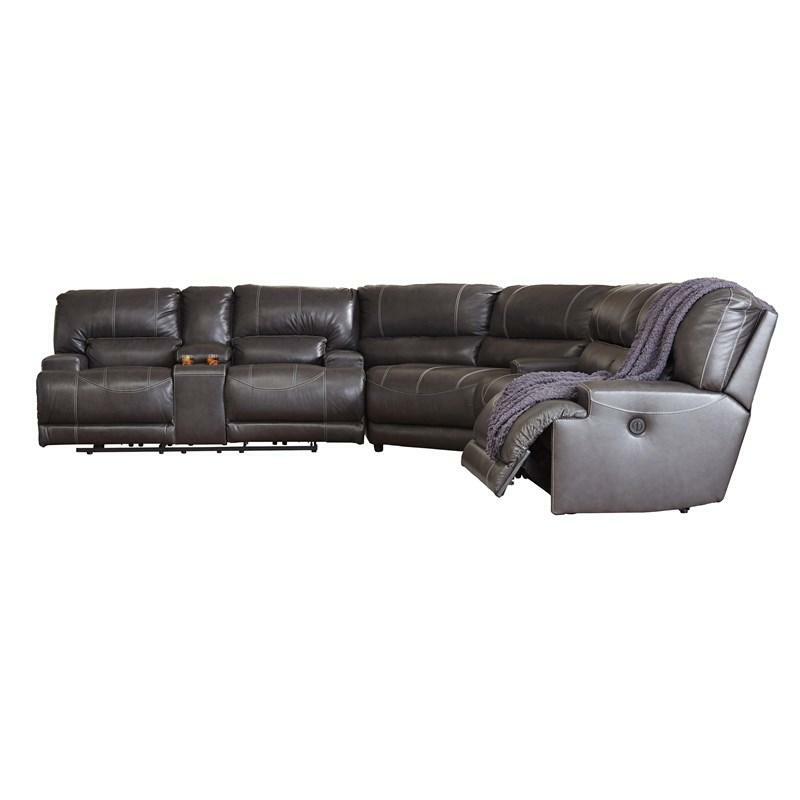 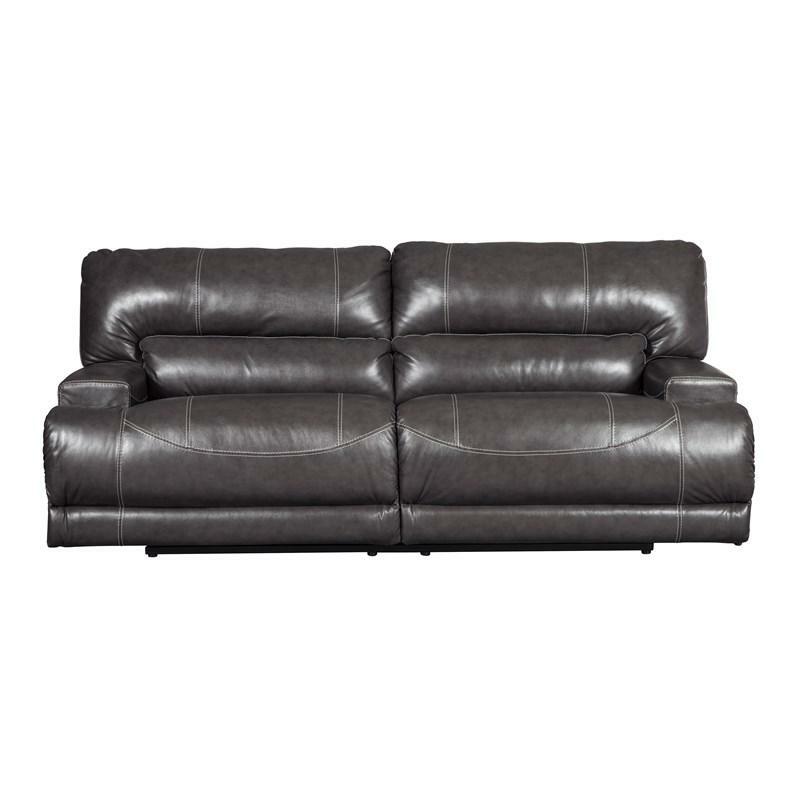 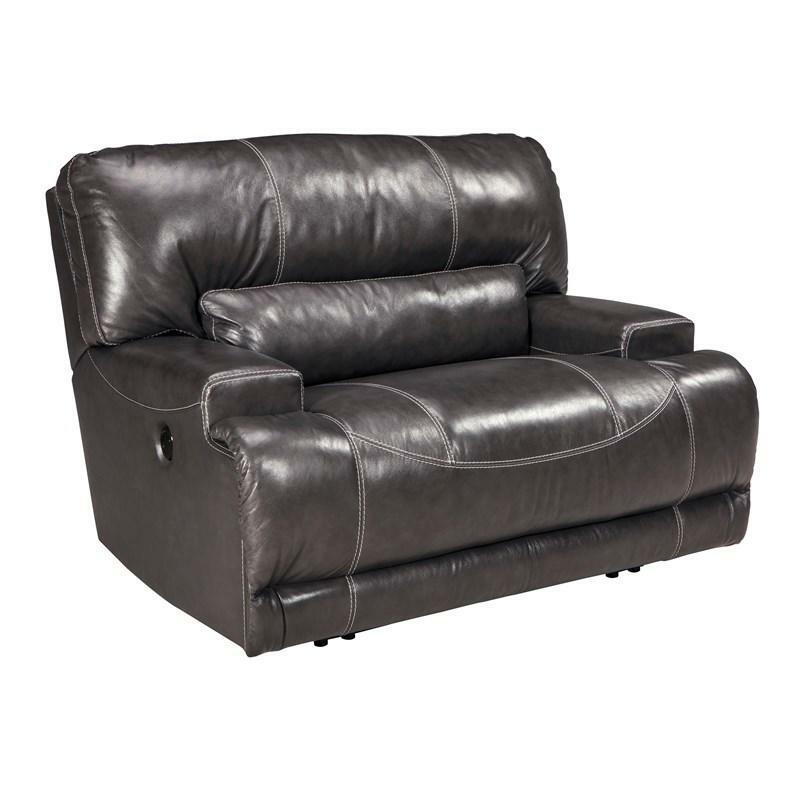 Extra-wide seats and plush cushioning are divinely comfortable while genuine leather upholstery is decadently soft. 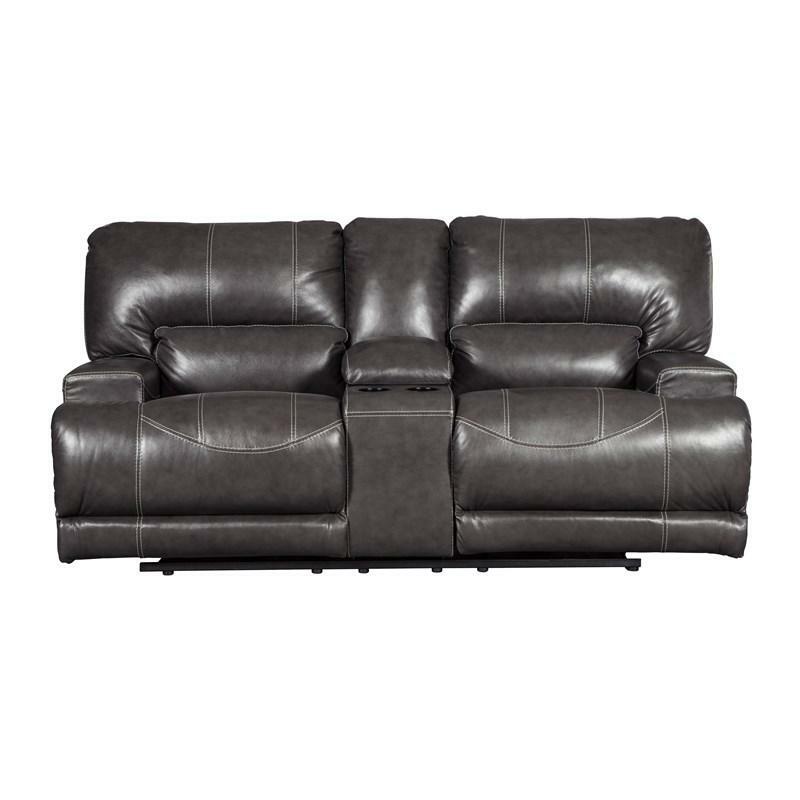 Prominent stitching, linear track arms and a goes-with-anything gray hue add stylish touches.